Raawr! 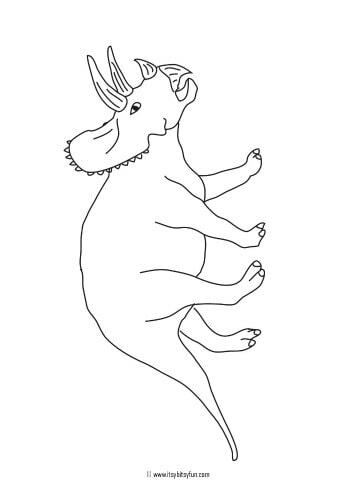 Dinosaur coloring pages are here! 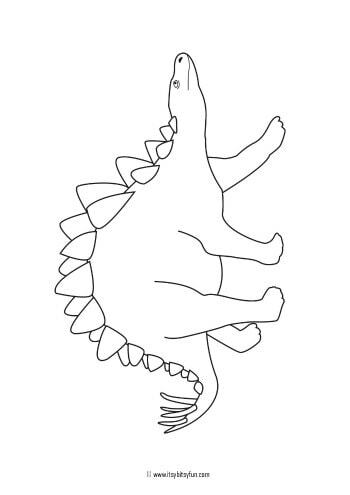 It’s time to sharpen the pens again as I’ve got quite a few dinosaur coloring pages to share with you (all are free printables). Dinosaurs have always been a hot topic with kids as they are, well awesome. I was a geology student and it is still mind boggling even for me that in the past these giant creatures (something in between reptiles and birds I guess) walked on this planet. 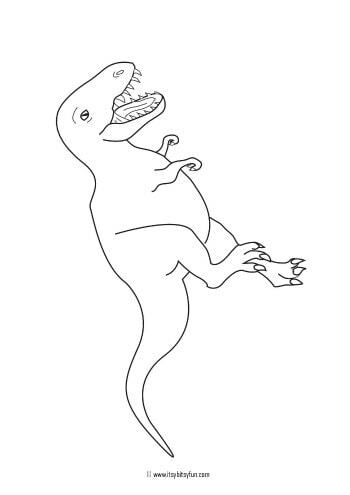 I mean can you imagine a T-rex running on the streets of New York today? 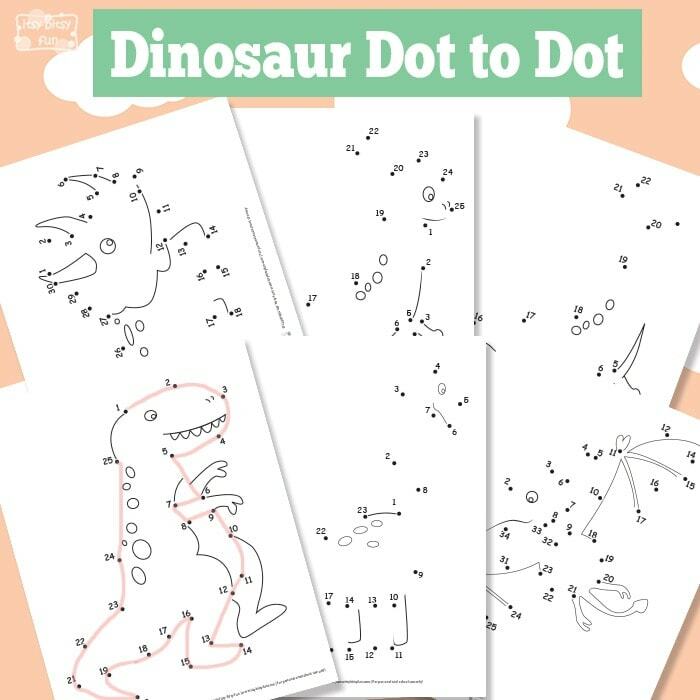 One of the more fun things with dinosaurs is we don’t and can’t know what color they were (I would like mine pink thank you) so there is no going wrong when coloring these. These are just some of the kids favourite dinosaurs – tyrannosaurus, triceratops, brontosaurs and stegosaurus. 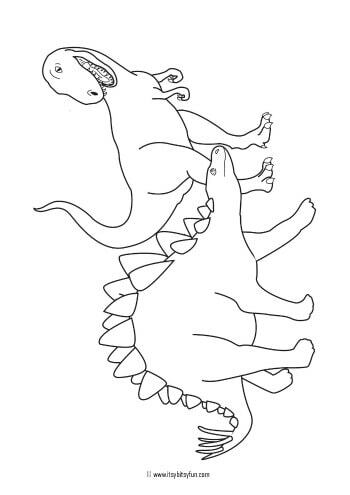 Those were also my favorite ones when I was growing up and I wanted to have all dinosaur coloring books out there. 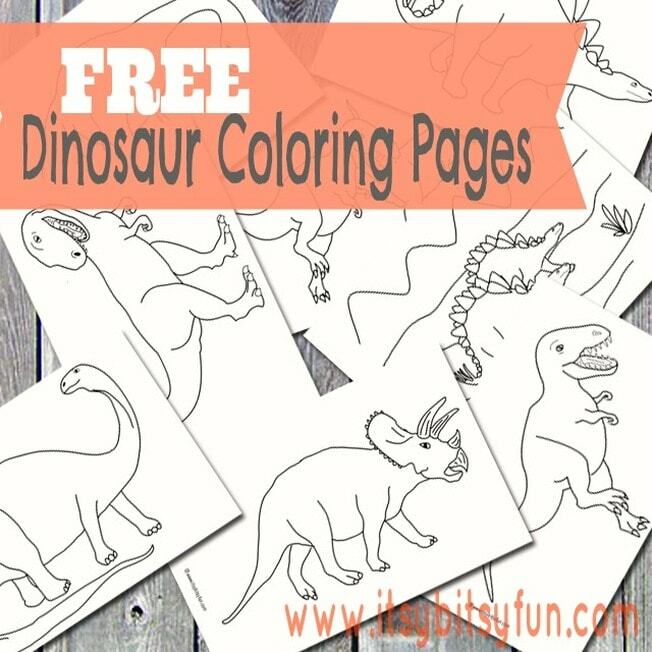 I loved to color Tyrannosaurus ones the most and would welcome an occasional triceratops whereas the little boy these were made for likes brontosaurs and stegosaurus the most (go figure). What was your and what is your kid’s favorite dinosaur? And a few Tyrannosaur facts to go with it. 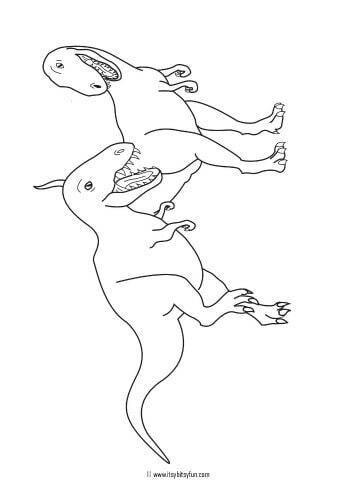 No one knows why T-Rex has such small hands (funny isn’t it?). T-Rex lived 70 million years ago but he wasn’t the first Tyrannosaur – they started “ruling” the Earth about 165 million years ago. 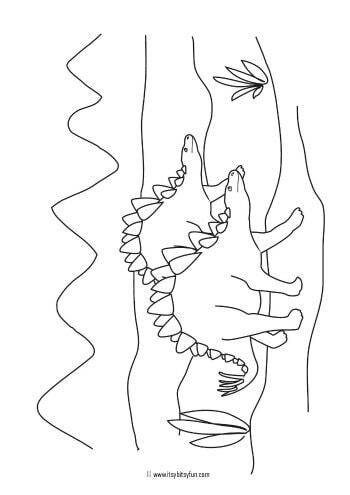 One stegosaurus is mingling with T-Rex but others you can find here. 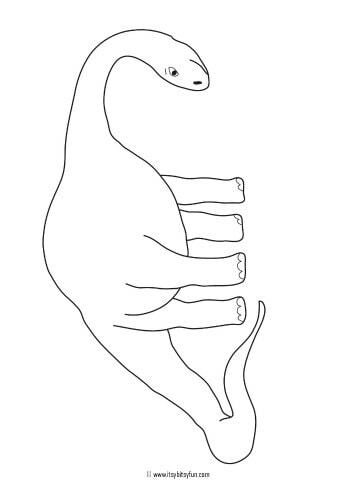 Apatosaurus and Brontosaurus were long thought to be two species but it was determined later that they are the same and now they go by the name Apatosaurus (I was always more keen on Brontosaurus though). Adults could weight up to 40 tons. No one knows how they could held their neck. 3 horns and a massive skull? What’s not to love? 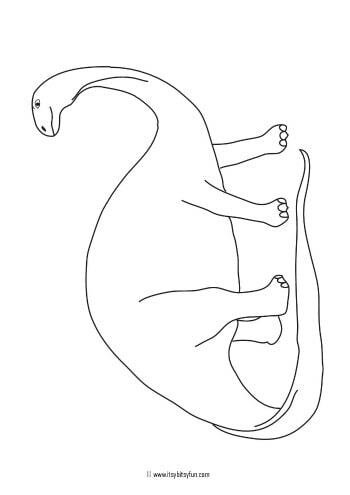 Print These Dinosaur Coloring Pages for Kids Now! 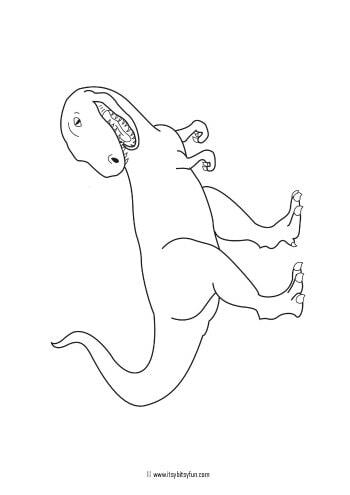 Get your free printable Dinosaur Coloring Pages here.